There’s a lot of chatter in Episcopal circles about evangelism, and how we recalcitrant Episcopalians need to do more of it. Or any of it. There’s a whole chapter on it in the otherwise excellent book, My Church is Not Dying: Episcopalians in the 21st Century by Greg Garrett. Garrett isn’t speaking of standing on street corners waving a bible, or button-holing people at social events or in the elevator. He’s talking about Episcopalians making more obvious the wonderful things this church has to offer and being more vocal about their faith. Since I’ve been an Episcopalian (about 22 years now) I have never been embarrassed to tell people that I go to church, or where. What I don’t do – and won’t do – is tell people that they need to believe the same things I do, or go to my church, or subscribe to a particular dogma. Being emotionally dishonest. When you go into a conversation with an agenda for how that conversation should go, you’re not being emotionally honest. You’re not being real, spontaneous, open, vulnerable. You’re not truly engaging with the other person, because at the very least you’re not listening to them. What you’re doing when “evangelizing” isn’t a real conversation. It’s a sales pitch. Think of God as water. Fish in water don’t think of it as water, they think of it as that in which they live and move and have their being. Everyone has water in their lives, needs water in their lives, whether they are aware of it or not. Humans are, on average, 65% water. 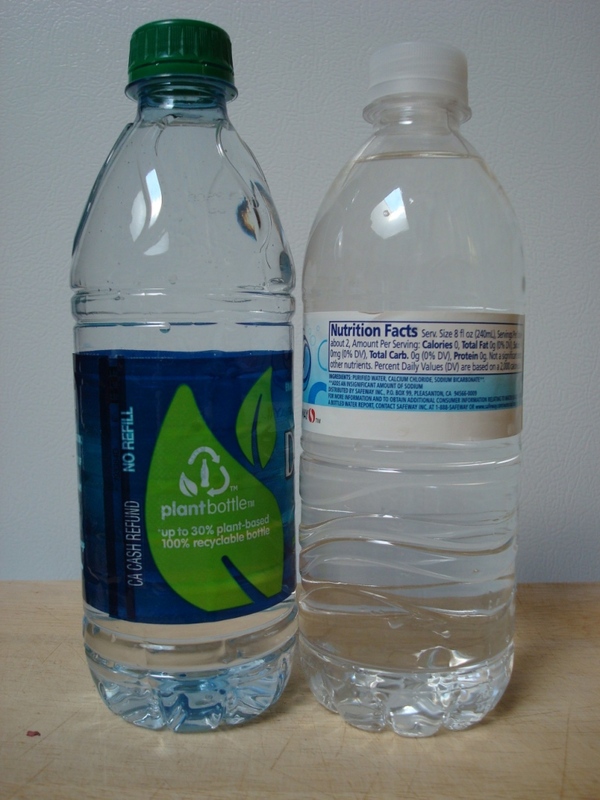 (See: https://en.wikipedia.org/wiki/Body_water.) It is a huge part of what we are. We all need water to survive. Now, think of all the ads for bottled water. “Buy our water! It has the extra stuff you need! That other water is insufficient!” Or, “Our water is pure! None of that extra stuff you don’t need and will actually hurt you!” “If you buy our water we’ll give a few pennies to bring water to people who don’t have access to it!” “If you buy that water you’re supporting a cause we don’t like!” Think of all the warnings about drinking “free range” water – it might have bacteria in it! And think of all the water that has been so polluted that it is indeed undrinkable. I don’t want to sell water. Or anything else. I’m not a salesperson. Never have been. I don’t like salespeople. At work, my favorite vendor rep is the guy who says, “Here’s what we’re selling this month. Don’t need it? No worries, let’s go have lunch!” My least favorites are the ones who act like we’re crazy for not buying what they’re selling. Maybe if we all worked to make clean water freely available to everyone who wants it without any hassle, the world would be a better place. Maybe if we did the same with God, it would be the reign of heaven on earth. 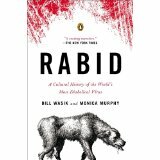 I’m finishing up a book bought quite a while ago but just now had the time to read: Rabid: A Cultural History of the World’s Most Diabolical Virus by Bill Wasik (a journalist) and Monica Murphy (a veterinarian) (Penguin Books, 2012). It’s been a fascinating read. Rabies is virtually always fatal in humans and since ancient times the fear of rabies across the globe has been acute and has been the basis for our myths of werewolves, vampires, and later, zombies. It is a horrible disease for both humans and animals, and only brought under control by the work of Louis Pasteur. Pasteur worked for years on a cure for rabies – we have no idea the fear it engendered in people even less than 100 years ago – and eventually developed a cure, first tested on a young boy in France who had been bitten by a rabid dog in 1885. The protocol, which must be administered prior to the onset of symptoms to work, was successful and this was the first person bitten by a rabid dog known to recover. News of this cure spread, and in late 1885 four American boys who had been bitten by a rabid dog were sent to France for the shots. They all recovered completely. Let us prove to the world that we are intelligent enough to appreciate the advance of science and liberal and humane enough to help those who cannot help themselves. Eventually a vaccine was developed for dogs, reducing the incidence of rabies in most parts of the world to almost nothing. Rabies still persists in wild animals such as bats but 99% of human rabies infections comes from dogs. Pasteur Institutes were established throughout Europe and the doctors therein discovered the infectious agents and/or vaccines for: cholera, anthrax, diphtheria, anti-venom serums for snake bites, tuberculosis, typhus, plague. Over 100 years later, some people now question the efficacy of vaccines that prevent human diseases that used to maim or kill hundreds of thousands world-wide. They question the “wisdom” of injecting a form of the disease itself, not understanding that THIS IS HOW VACCINES ACTUALLY WORK. I am very grateful that my parents got me all the shots necessary as a child, including the new-fangled polio vaccine. (I remember that as a series of treated sugar cubes. Over the course of several weeks we’d go to the clinic set up at the local high school on Sundays after church and joined the lines with lots of others to get our inoculation.) And to bring this back around to the equestrian side, I religiously make sure Angel gets his spring and fall shots every year. They have a West Nile vaccine for horses; as soon as they have one for humans I’ll take that, too. I have been against the selling of horses for slaughter for as long as I’ve been aware of the issue. While the thought of eating my beloved horse makes me ill, eating horse meat has been quite common throughout human history and the U.S. used to have a number of slaughter plants for horses. They are now illegal in this country, but that does not stop “kill-buyers” from buying cheap, unwanted horses at auctions and shipping them to Canada or Mexico for processing. 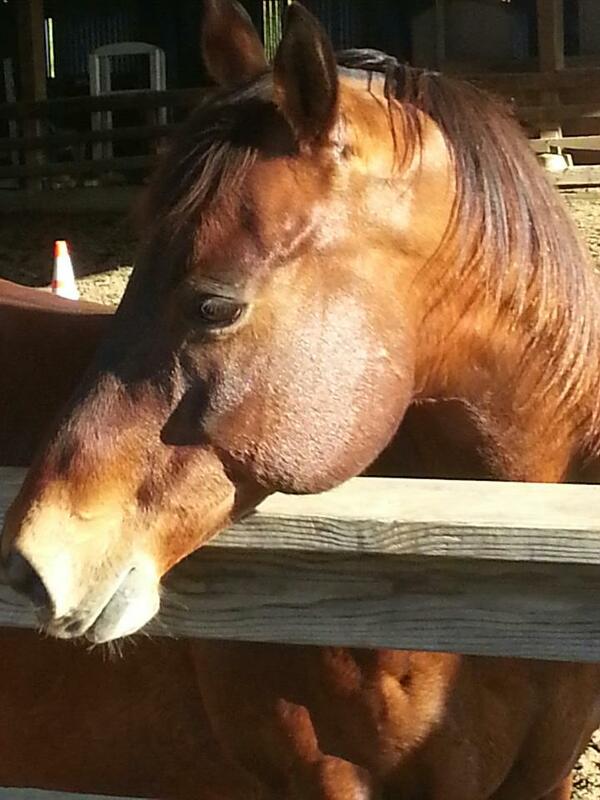 In California shipping a horse to slaughter is also illegal, but it happens all the time. Let’s set aside for now the issue of what to do with unwanted horses. That’s an issue for another post, but this is why I support Horses’ Honor Horse Rescue and Sanctuary here in California. There are many such sanctuaries of various sizes throughout the country. But back to my omnivore’s dilemma. If I don’t think horses should be eaten, why do I think it’s OK to eat cows? That is a very good question, and was one of the reasons behind my decision to stop eating mammals a year ago. No beef, pork, venison, rabbit, etc. If it’s a mammal, I don’t eat it. I’m not against eating animals per se. Of course if one is starving, one will eat whatever one can catch. 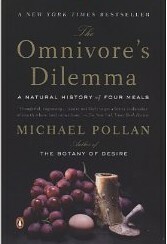 Carnivores eat animals (duh); sometimes you’re the fox and sometimes you’re the rabbit. But what I cannot support is the practice of factory farming, which is pretty much all the farming that is left in this country. Even meat that is labeled “humanely raised, grass fed,” etc. isn’t what we think it is. Unless you have your own farm and can kill and butcher your own cow or pig or chicken, or you know someone that has such a place that you can buy from, it’s all factory farming of one sort or another. Google “factory farming practices” to get an idea of what that’s all about if you aren’t already aware. The amount of such suffering created by these practices is insurmountable and not something I can be part of any longer. So, there’s that. Gluttony, pure and simple. Which all three major religions count as a pretty big deal. That brought me up short, because I’d not made that connection before. This is another place where the “equestrian” and the “theology” meet. Up until now, I’d sworn off mammals but still have been eating chicken. Chickens suffer just as much, so there’s no real reason for me to eat them except that they’re lower down the evolutionary chain, and convenient. But no more of that for me, either. I cannot in good conscience let gluttony and convenience trump suffering. So, what do I eat? Lots of chocolate. Just kidding. Not really. Still on my plate: fish, eggs and dairy. I am a work in progress. The next piece in the continuing saga of figuring out How To Live My Life came in the reading of Mark Rashid’s latest book, A Journey To Softness. I had pre-ordered it long before, and it arrived shortly after my fall in November. Just in time. It’s not about “tips and tricks” to ride better or how to get your horse to behave. It’s about how – whether we want to or not – we bring everything that we are to our horse when we show up at the barn. We may not know that, but the horse does. If a person were only trying to be soft with a horse but not when driving a car; setting down a glass; shoveling manure; sitting in a chair; talking with [others]… it seems to me that the art is not being practiced in an overall mindful way. For those folks, softness is something they do but not who they are. He tells the story of when, as a kid, he worked for an old horseman. The Old Man (as Mark calls him) kept after him to quit pulling on a horse’s mouth. But Mark didn’t know any other way to turn the horse. As he was leaving for the day, the Old Man asked him to ride his bike in a circle, a few laps this way, a few laps the other way, larger and smaller circles. Then he said, “The way you steer your bike, that’s how you ride a horse without pulling on ‘im.” With softness you can hear what your horse is trying to tell you. 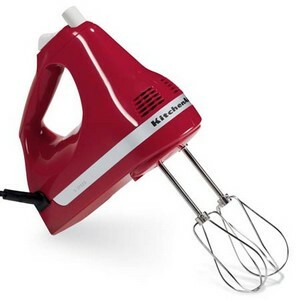 You can steer him without annoying him. It is my belief that becoming aware of how we participate in the world on a daily basis and how we perform our everyday, mundane, or not-so-mundane tasks adds to our ability, or inability, to develop the kind of awareness and sensitivity it takes to be really good at working with horses. Developing the kind of awareness and “feel” it takes to realize when we are working against our horse doesn’t begin with working with our horse. It begins by doing all of those everyday things with as much feel and awareness as we possibly can, and then bringing that awareness to our horse. You write, “Becoming aware of how we participate in the world on a daily basis and how we perform our everyday … tasks adds to our ability, or inability, to develop the kind of awareness and sensitivity it takes to be really good at working with horses.” That hit me where I live. The past 18 months have been difficult. In July 2012 I twisted my foot on uneven pavement and broke a bone. In both denial and an ortho boot, I didn’t take proper care of it and it didn’t heal. Then surgery to wire the break, cast, and one of those knee walkers for 8 weeks and, of course, no riding. Out of the cast and back in the ortho boot for another month. Damaged my Achilles tendon. Later, got the hardware out of my foot and was back in an ortho shoe. Tripped in the ortho shoe and landed hard enough on the pavement to crack a rib. Icing on the cake: a hard spill off of Angel that injured my back. As you write, “Our body and our emotions operate as a unit, not as separate entities.” Even before the fall off of Angel, I’d been questioning why I keep hurting myself and what the universe might be trying to tell me. But it was that fall that broke my heart. I was back to riding regularly and felt that we were doing well. Angel has never been an unusually spooky horse and takes most new things in stride. But for some time he’d been getting more and more unsure of things that caught his eye. That day we were in the arena, and there was the usual pile of stuff in the middle. For some reason this bothered him. He hesitated, and I asked him to go on by – not even very close, just by it. The next thing I knew I was on the ground. He’d spun 180 and I went flying like batter off of mixing blades, landing flat on the small of my back. He didn’t run away though, and when I was finally able to get up and we looked at each other, he had the saddest look in his eyes. When I was physically able, I got back in the saddle and felt a kind of fear that I haven’t experienced in a long, long time. Every time Angel perked his ears at something I freaked inside. Kept working at it and was getting better – but not 100% – when your book arrived. I realize now that my own inner turmoil has disconnected me from Angel, and it started long before the spook, long before I broke my foot, and probably long before that. There was no softness there, just panic, fear and frustration. What has been the hardest to acknowledge is that when he spun away from the scary thing, in that exact moment, he didn’t trust me enough to follow me. Reading your book was one big “Aha” moment. The first time I rode after finishing your book, I concentrated on making my own insides as soft as I could be. No fuss, no impatience, no fear. I didn’t rush Angel along, tacked up quietly, mounted up quietly, and softly asked for a walk. I was blown away by the difference. He was calm, and during the entire ride he kept his ears tilted back to me. I know I have a long way to go to achieve consistent softness, but at least now I know what I’m looking for. I haven’t posted anything since January, so I’m way overdue. But I’ve been doing a lot of reading, thinking, and applying things I’ve learned, so I haven’t been idle. Here I’ll try to get my thoughts in order. Before my fall off of Angel last November, I had spoken with my priest about the number of times I have been injured since I broke my foot in July, 2012. Besides the initial stumble that broke a bone, I’ve had a stress fracture, tripped and fell again cracking a rib. Why am I so clumsy? Why can’t I take better care of myself? Is there something going on beyond the normal vagaries of life? I told her I wanted do to something about this – if something could be done – before I broke my neck! Within a couple of weeks I sent her an email: “Remember when I said I wanted to talk about this before I broke my neck?” And then went on to explain about my fall off of Angel. My riding recovered. It took a little while; I was nervous and afraid. Every time Angel pointed his ears at something I tensed up. Rod helped me through it and now I feel like my old self in the saddle again. There are three other things that have really impacted how I think and feel, and I want to articulate them here. The first one is a major change in my blood pressure medication. What I was on was making me so lethargic I seemed to have no energy to catch myself or jump out of the way. It crept up on me and I really didn’t notice right away. With a different Rx I feel like a new person. That is a relief! On Sunday Angel spooked at something – I have no idea what – spun 180 degrees as only a Quarter horse can and I went flying off like batter off of mixer blades. Landed on my lower back/upper pelvis. Fortunately no broken bones, just bruised and sore as can be. Knocked the wind out of me and I was so frustrated. I haven’t come off in years, and after my foot surgery, getting the hardware out of my foot, tripping and falling on the way to the bus terminal in San Francisco and cracking a rib, this was just too much. This is also the first time ever that I have come off of a horse and not gotten right back on. But physically I just couldn’t. At one point, Kathy and I did talk about the day, our horses and how far we’ve come. Ok then. Angel wasn’t being bad. He didn’t buck me off. He just did what horses do – run from a perceived danger. He didn’t even run away; once I came off he stopped and just stood by until help came. He really is quite a good boy. He could have run out the open arena gate and to his stall to hide. He didn’t. When a horse spooks and doesn’t try to buck you off, that means he’s trying to save both of you from the horse-eating monster. As soon as I’m able to get on again, we’ll be back at it, still learning, still trying.